Tubex Ecostart tree shelters are an economical solution for protecting slender plants used in small scale landscaping and hedging. 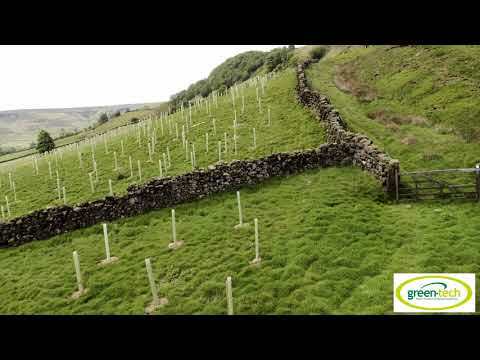 Tubex Ecostart tree shelters enhance the plant growth by improving the micro-climate around the plant. Tubex Ecostart tree shelters contain lower levels of UV stabiliser, compared to the Tubex Standard tree shelters, and will naturally begin to break down over a shorter period. Tubex Ecostart tree shelters are often used in hedging, tree planting and small scale landscaping projects, ideal for whip planting in the 20cm- 40cm range. The Ecostart Tree Shelter Guard will protect the plant, whip, hedge and tree from rabbits, voles and hares. The 60cm Tubex Ecostart tree shelter will protect the plant from rabbits and voles, and the 75cm tree shelter will protect the plant from hares.